Just finished our first day teaching in Panama!! Besides a few rough patches, I’d say it was pretty successful and I could not be more ecstatic that FSU Movement Exchange has finally made it to Panama! Today was supposed to be our first day at the University, but the AC wasn’t working so we salvaged the morning and started with a walk along cinta costera and then a contemporary class taught by our oh so lovely Move Ex coordinator, Tinna! I still can’t get over how beautiful and unique this city is. 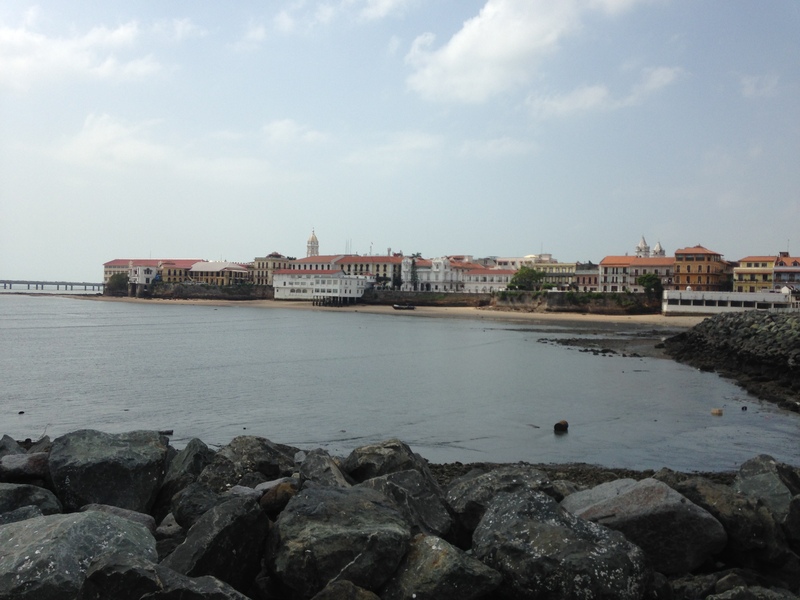 Especially walking along cinta costera, you can see the new city with sky scrapers and modern architecture on one side of the ocean and then casco viejo on the other side of the city. Casco definitely has a unique style with colorful buildings and old architecture. 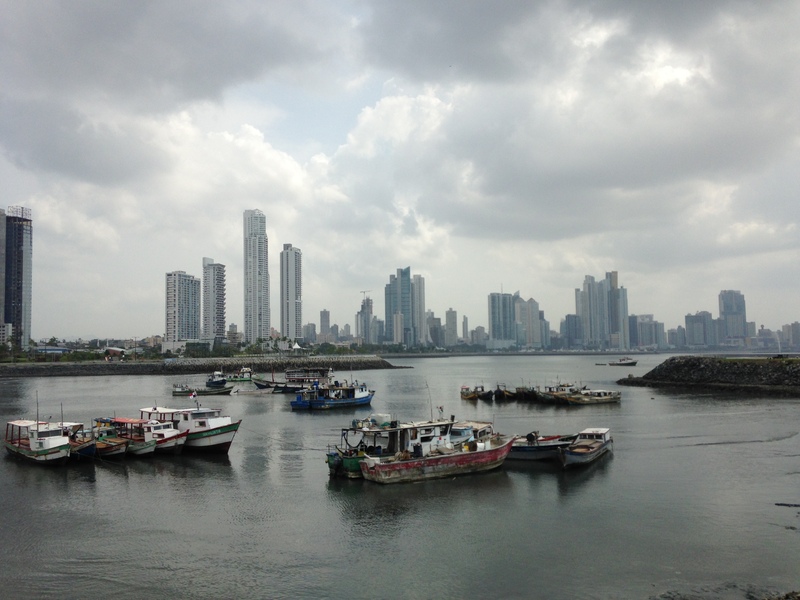 We also made our way past the fish market… very excited for ceviche later this week! 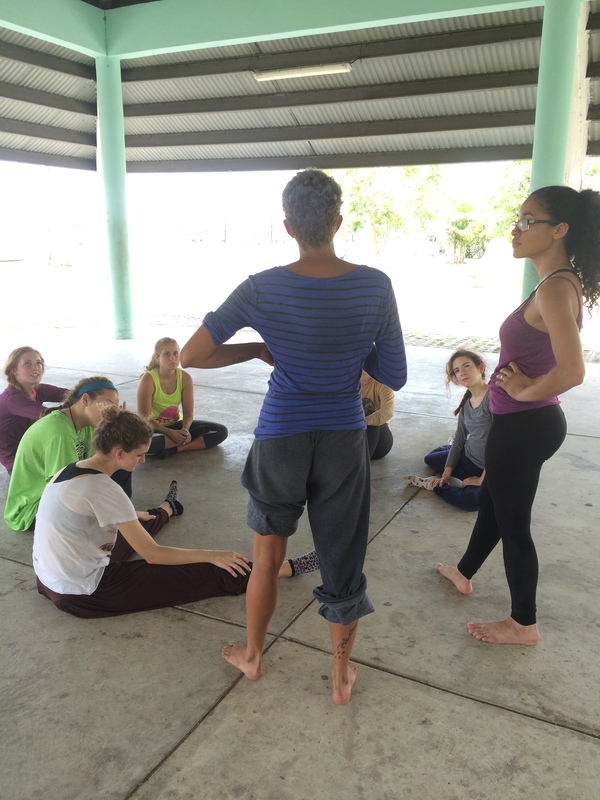 Tinna taught us a contemporary class modeled after some of her teachers at the University. We started with some breathing exercise and a little bit of yoga to get our bodies moving. Tinna led us through some floor work with X-ing and curving. So, so, great to start moving at the start of our week! The best part of the class was the partner exercise we went through. One partner closed their eyes while the other led them around the space. In order to walk freely, we really had to trust our partner and simply let them guide us around the room. Eventually, our partner was leading us around the space by only guiding us with our finger tip. By this point, we were really dancing and moving around the space rather than walking. There was more of a giving and taking at this point as our partner guided our fingers, but ultimately we decided the “how” and “why” of a movement. During the middle of each exercise we also switched partners around, so everyone got the chance to work with a new partner. We also did another exercise where half the group made a circle and the other half of the group did some partner improv work with their eyes closed in the center of the circle. I think this was perfect for our first day because it really added to the group dynamic and got us all comfortable working with each other. Such a great way to start the trip! We headed back to the hostel for lunch (rice, beans, chicken and plantains… of course!) and then we made our way to Malambo!! When we got there, we got a tour of the orphanage and visited all of the houses! 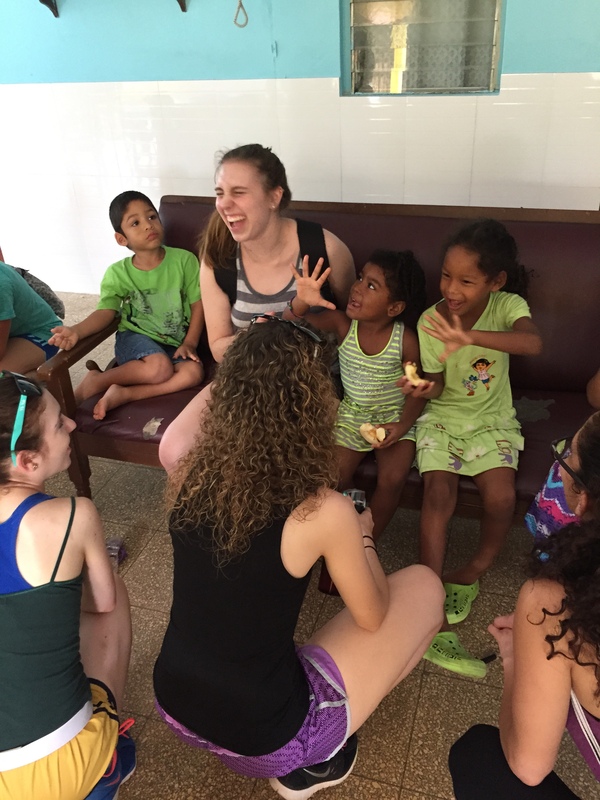 We spent some time in the house with los ninos and played with them for a bit, They were all so absolutely adorable. They latched onto us immediately and had us sit down on the couch and play! So cute. For teaching, we split up into two groups the older girls and the younger girls. Myself, Alex, Taylor and Emily were with the older girls and we started with a little warm-up and did some across the floor work with them. We went over pas de bourres and chasses and some of them already knew how to do the steps, which was great! We lost them for a little bit… they got pretty chatty and not being able to speak Spanish very well, it was a little difficult to keep them interested. Our choreography was also a little harder than we had realized so we had to tone it down a bit. Thankfully, Tinna stepped in and helped us out a TON. We also changed the music to Taylor Swift and they loved it! So tomorrow will definitely be much better. We’ll tone down the choreography and use some fun music and I think it will be great! After that Taylor and I went up to the room with the younger girls to teach them the jazz choreography. They were absolutely adorable and had SO MUCH ENERGY. By the time Taylor and I get there they were already danced out, but they danced for three whole hours so I would say they did a great, great job. 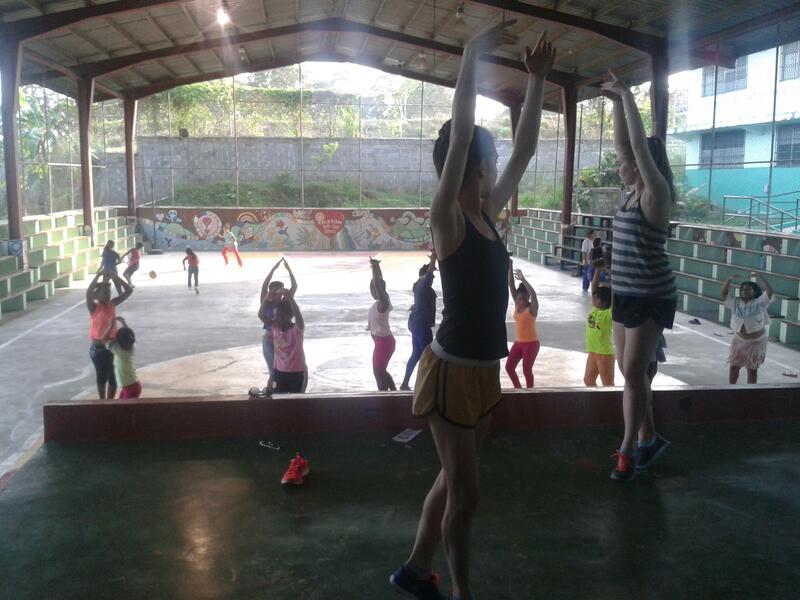 Taylor and I taught them some fun moves with clapping and jumping and I think we’ll get through a lot more tomorrow! Katiana, Sarah, Nicole and Erin had been working with the younger girls before I got there and they said they had a ton of fun!! We went back down to the gym where Tinna, Alex, and Emily were working with the older girls on a jazz combination. They looked like they were having SUCH A BLAST!!! After the ballet, I think it was really great that they got a chance to relax and just have a good time dancing. I could definitely see a change in their personalities and they looked really proud of themselves for doing so well dancing. Afterwards, I told two girls they did a great job and they told me it was their first time dancing!!! I could not believe it. 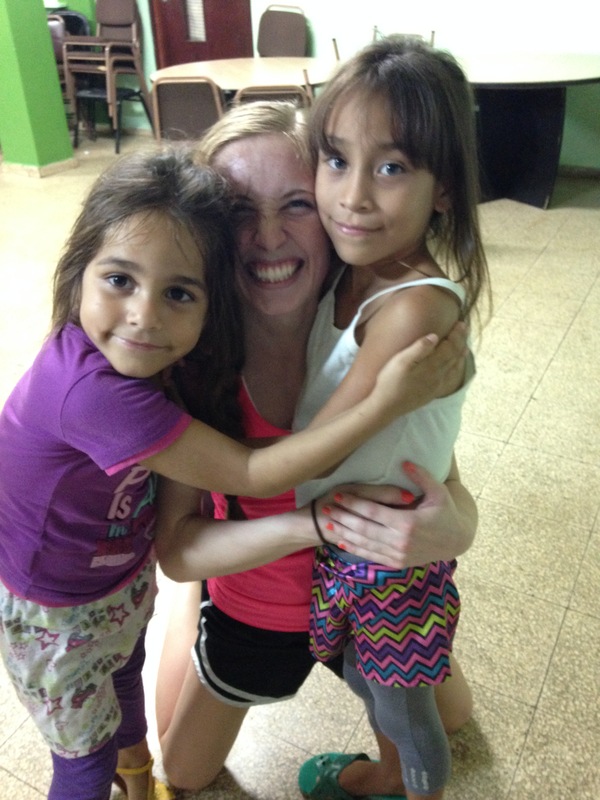 They were absolutely AMAZING for their first time dancing. Pretty inspiring! One of my favorite parts of today was seeing some other girls who were there last year! They definitely seemed to remember me, and although my Spanish is really, really broken, it was so great to see them and see that they were doing well!! Now its off to our first official dinner all together!! Beyond thankful we finally made it to Panama and I can’t wait for what’s in store for the rest of the week!